There’s no better time than the winter months to enjoy the heartiness of a perennial American spirit. Applejack, the name borne of the colonial practice of concentrating cider through freeze distillation (i.e., leaving it out in the cold) or “jacking,” has been available commercially in the United States almost since the United States opened for business. For decades its preeminent producer has been New Jersey’s Laird & Company. They counted George Washington as a loyal customer, made applejack for troops during the Revolutionary War, and have been selling it since 1780. 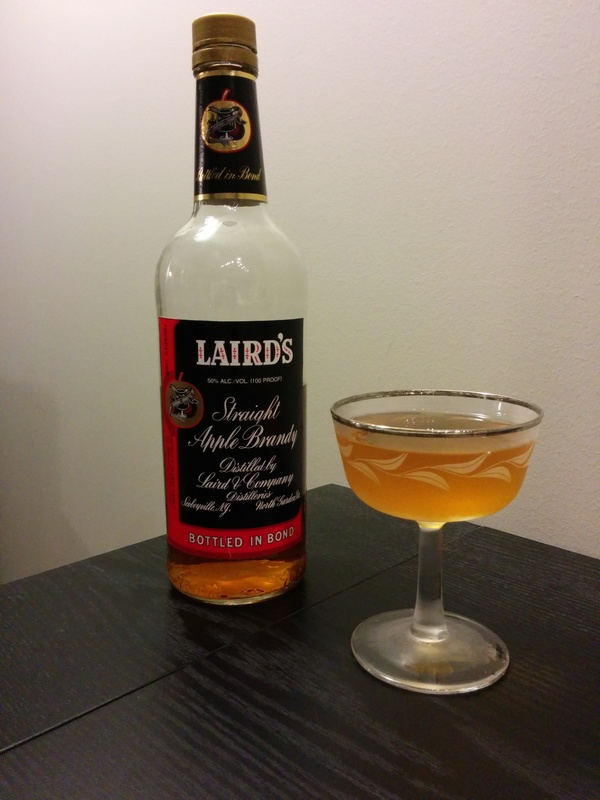 Laird & Company’s apple brandy has recently been making its way west. 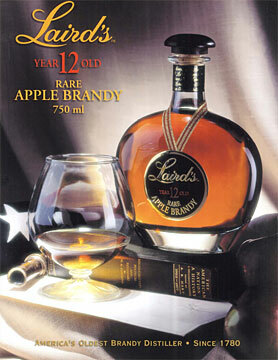 Laird’s crown jewel is its 100 proof bottled-in-bond apple brandy. It possesses a brilliant flavor, not on par with Calvados—the French apple brandy that is the finest liquid known to man—but close. 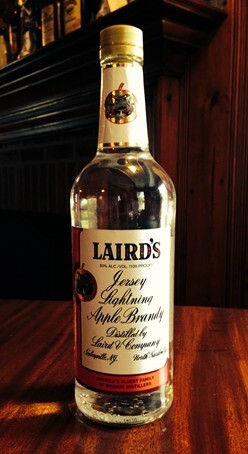 Here’s how good it is: it’s worth checking a suitcase for, because up until recently Laird’s Bonded Apple Brandy was only sold in the Northeast’s tri-state area. Now that it’s turning up in West Coast supermarkets, I wanted to put it through its paces. 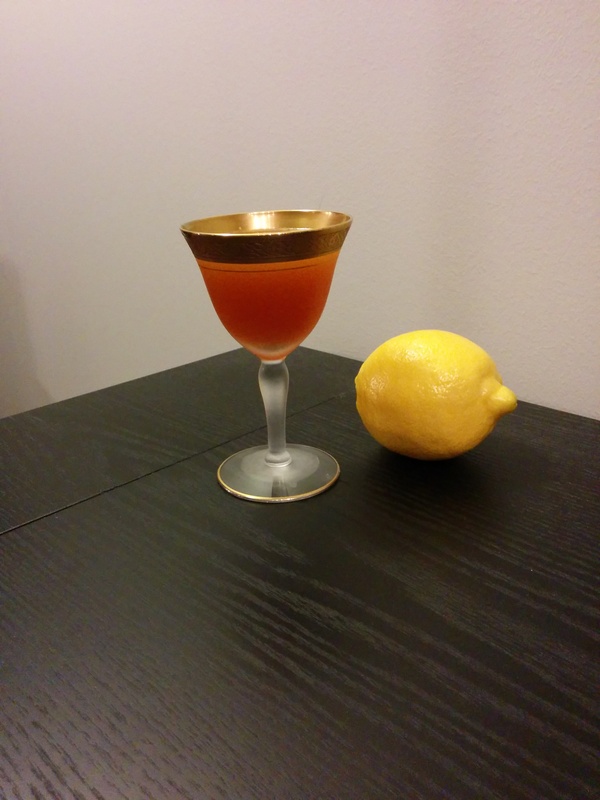 The signature applejack cocktail is the Jack Rose. Its literary pedigree helps; Jake Barnes downs one with George, the barman at the Hotel Crillon, in Ernest Hemingway’s The Sun Also Rises . For a time the Jack Rose was thought to have been christened after East Coast underworld smoothie “Bald Jack” Rose, or perhaps a Jersey City bartender known by that handle. 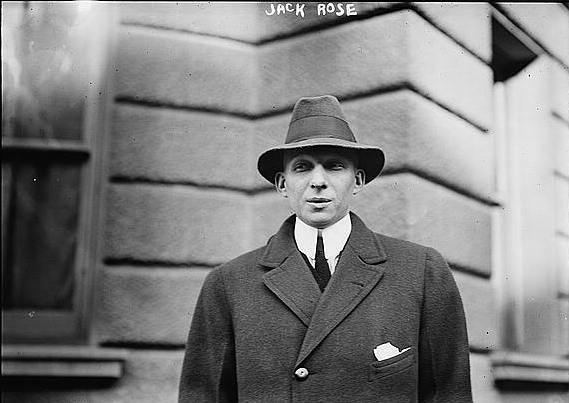 In The Old Waldorf-Astoria Bar Book (1935), Albert Stevens Crockett states that the drink, when properly made, has the same coloring as a Jacquemot rose and should hence be the Jacque Rose. I’m with them what belly up to the bar called Occam’s Razor: the drink is made with applejack, and is rose-colored. Mystery solved. I must begrudgingly confess I’ve always found the Jack Rose to be the most consistently disappointing of the classic cocktails. This simple sour is surprisingly difficult to prepare; too much lemon juice or anything but a top-notch grenadine and it proves underwhelming in the glass. Worse, it doesn’t adequately highlight apple brandy’s abundant charm. Permit me to nominate two alternatives. 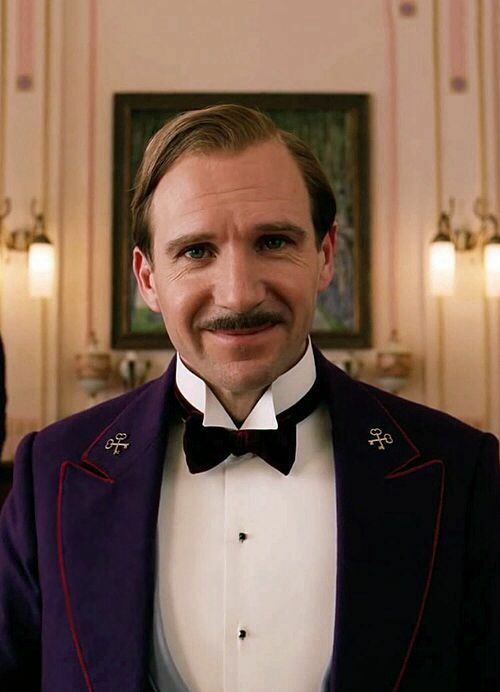 The Widow’s Kiss sounds like a concoction Ralph Fiennes’ M. Gustave would ply dowagers with in The Grand Budapest Hotel . The name isn’t the only element of this drink that harks back to a bygone era. New York bartender George Kappeler’s 1895 recipe combines apple brandy with yellow chartreuse and Bénédictine, two liqueurs that share a genesis in European monasteries and a highly idiosyncratic sweetness. Doubling them up is so perilous that many current practitioners of Kappeler’s trade view the Widow’s Kiss as too overwhelming for modern palates, dialing up the apple brandy considerably. In his book Imbibe! , spirits historian David Wondrich observes that “this drink is a balancing act, and if one thing is out of whack, everything is.” He calls for rigorous adherence to the original 2:1:1 ratio, as well as to Kappeler’s unorthodox instruction to shake the ingredients even though no citrus is involved. I keep to those proportions but throw caution to the wind and stir. The result is an ambrosia of unbridled complexity, the crisp and the sweet moving in perfect sync. The Widow’s Kiss is a dense cocktail best sipped after a meal—or possibly in place of one. The Liberty, an applejack favorite, is included in Harry Craddock’s The Savoy Cocktail Book . Considering that the Liberty has been around for some time—it appears in Harry Craddock’s essential The Savoy Cocktail Book , which dates to 1930—it should be better known. It’s become a January staple for me. The snap of the applejack is appropriate to the weather. But what better way to acknowledge the promise of the new year, with its hope of sunnier times and balmier climes, than with some rum? The Liberty brings both tastes together to smashing effect. Later iterations of the recipe call for a dash of lime juice, a welcome addition that underscores the rum’s tropical affect. The drink can be served over crushed ice as a summer cooler, but its smooth blend of introspection and anticipation, up in a cocktail glass, plays every bit as well around the holidays or all year round. Vince Keenan is the associate editor of Noir City, the magazine of the Film Noir Foundation. 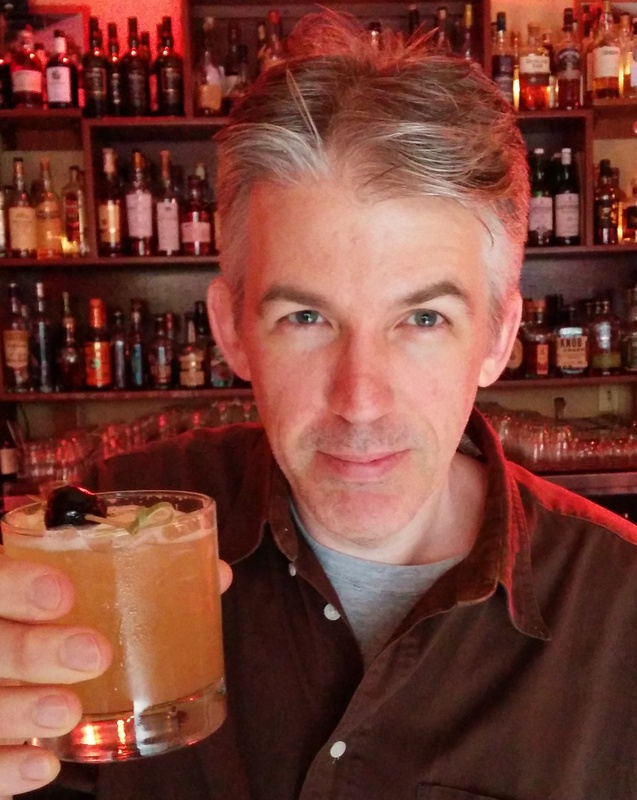 His book Down the Hatch: One Man’s Odyssey Through Classic Cocktail Recipes and Lore , collecting the essays featured in Slate and USAToday.com, is a Kindle bestseller. He writes about cocktails and popular culture at blog.vincekeenan.com. An ex-pat New York Mets fan, he lives in Seattle. 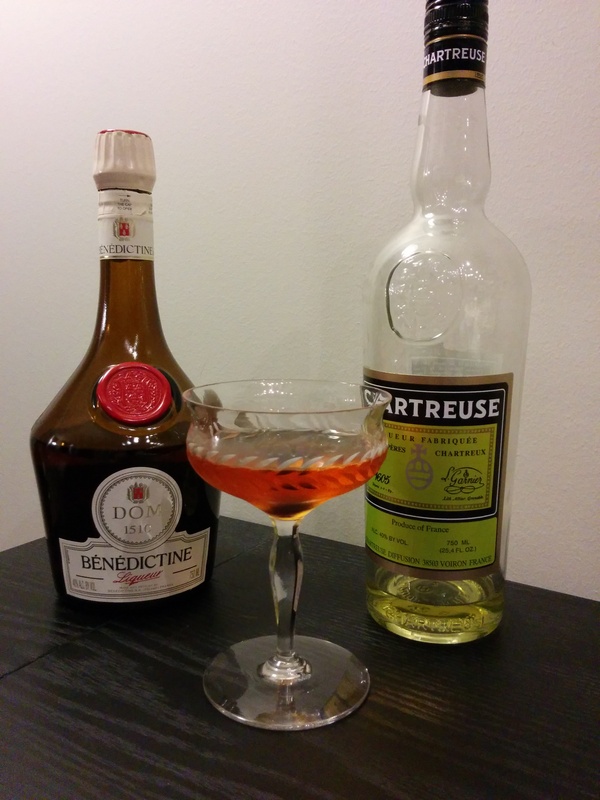 This entry was posted in Drink and tagged apple jack, Drink, The Jack Rose, The Liberty, The Widow's Kiss, Vince Keenan. Bookmark the permalink.